Photo: Leonid Andronov / Shutterstock.com. SBB is to invest CHF 90 million (€78.3 million) upgrading its fleet of 19 ETR 610 Pendolino trains. 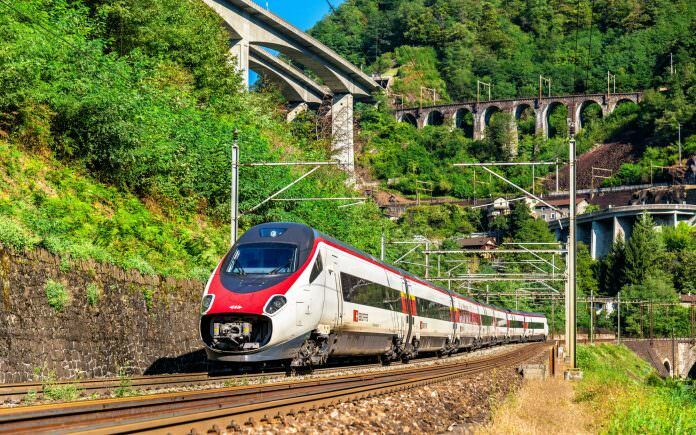 SBB is looking to create more uniformity among its Pendolino fleet, focussing on the seven first-generation units SBB inherited from the defunct operator Cisalpino, which have now completed 2.5 million km in passenger operation. SBB has 19 ETR 610 units altogether – the last of which was delivered by Alstom earlier this year. Alstom, which has already overhauled Trenitalia’s ETR 610 fleet, will refurbish the Swiss fleet from its factory in Savigliano, Italy. Principally, the project will focus on modernising the older vehicles, providing more luggage space, modern toilets and better mobile phone/Wi-Fi coverage. Fire suppression systems will also be fitted in the former Cisalpino fleet. The modernisation works are expected to be completed by 2020. SBB also hopes to improve the reliability of the ETR 610s, although it said reliability had been better last year following the appointment of a taskforce. The operator said it had been experiencing issues with the Pendolino’s tilting technology, sliding steps and kitchen appliances.